Do you size it so the pellet already engages the rifling when seated in the chamber? Just short? Barely touching? With a smooth lead to start building speed before it engages? Is it going to need to be different for pellets and bullets? Could this be in part why some pellets perform better than others in a particular gun? Even when power is adjusted to get them in their "ideal" speed range. Then there is the transition itself. I don't think the low velocity and pellet hardness isn't going to cause throat erosion like it does with a powder burner. 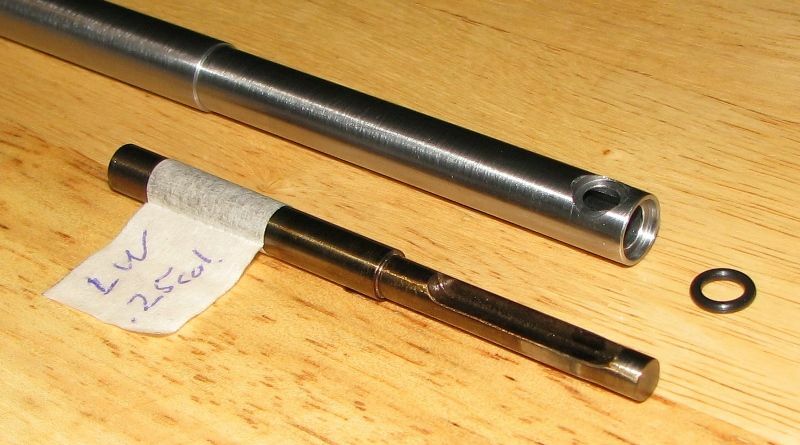 I would think a sharper start will cause lead chips (cutting the projectile to fit the rifling) while a more tapered start will be more likely to cause the pellet or bullet to deform to match the rifling. Should the rifling taper into its full form or should it be a fairly sharp start? This is a very interesting subject to cover, and I'm looking forward to others' input. From a powder burner standpoint, the most accurate setup for most calibers is a few thousands off the lands. For example, the most accurate rifle I ever owned, was an Ackley Improved 22-250. The bullets were seated .002 away from the start of the full-sized lands. The inlet taper (throat) was a scant .025 thousands in length, and of the same ogive as the bullet. This tends to minimize throat erosion, as the bullet seats (starts obturating thus less amount of escaping gases) before the tail end leaves the case (tight neck scenario). Obviously, you don't have this much control in an airgun. Probably the most important attribute is seating the pellet concentrically with the bore. Thinking about this on the fly, a smooth-twist barrel should have a slight advantage over a standard barrel with a short throat, however it is done. Along this same line, was all of the research in the mid to late 70s on gain-twist barrels. 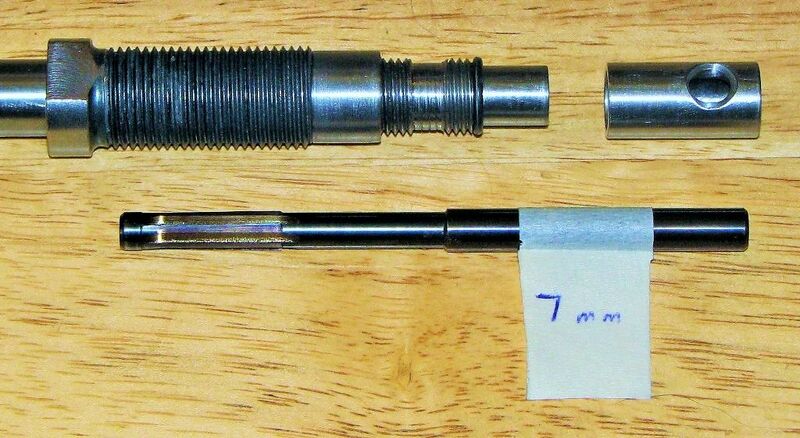 For those that don't know, a gain-twist barrel may start out having a twist of 18:1, but increases over the length of the barrel, and may be as much as 10:1 at the muzzle. It turns out, that throat design is more important, than the type of rifling (square or round cut and/or number of lands). I believe this is what Bob was alluding to. As I said, this is an very interesting subject. Nonetheless, I still wonder just how much more accurate an airgun can be made? I don't own one, but I've seen air rifles which almost literally cut the same hole shot after shot. Maybe this thread will help shed some light on the subject. PS: You do come up with some really interesting things to talk about, Bob! Bob, Thanks for a very informative post. I have been thinking about this very subject for shooting .25 bullets in my Mrod.